Beautiful Hobart ! 2 fully furnished rooms. Available now. The bottom level of a huge Heritage historical family house. We live on the upstairs level of the house. You have your own separate entrance and garden space. Downstairs is totally separate from our living upstairs. The house is split in 2. So it is like living in your own private flat. 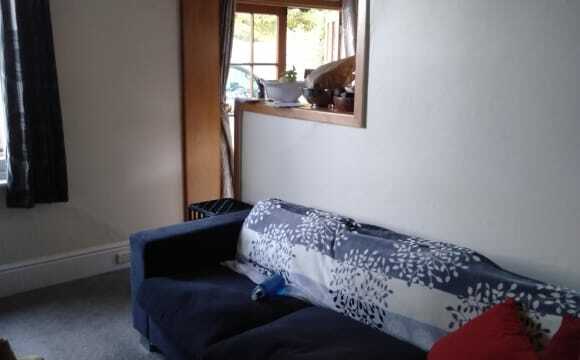 +equipped kitchen, laundry and dishwasher - no need to bring supplies-crockery/plates. +Your living room (shared with 4 flatmates total) is huge and private, with TV, couches, table and chairs + Price is one person, per room- no room sharing + Beautiful quiet location - the best of everything at the doorstep + fully furnished generous sized bedrooms with new mattresses, heaters, electric blankets, linen, mirrors, wardrobes, bedside tables, heaters and more. +unlimited WIFI included in rent +Water included in rent +1 shower +2 separate toilets (one indoor/one outdoor- shared with 4 people total) +your own washing line + indoor racks for each room. +small self contained kitchen - shared laundry (fridge, washing machine/dryer, iron, ironing board/ vacuum/mop supplied). 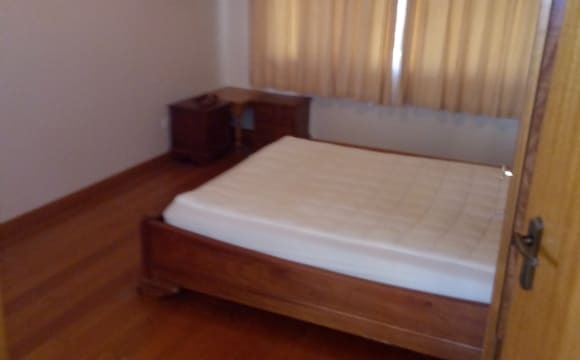 + local "Friend's Gym" and pool close to house + close to North Hobart +Your own private lockable rooms with private outside entry to your room. + Electricity is charged separately every 3 months according to use and bill shared equally. NOTE: weekly rent price includes all unlimited WIFI, gardening/maintenance and water usage. LOCATION: + It is a safe, quiet place, a 2 minute walk to the bus. It is an excellent location. 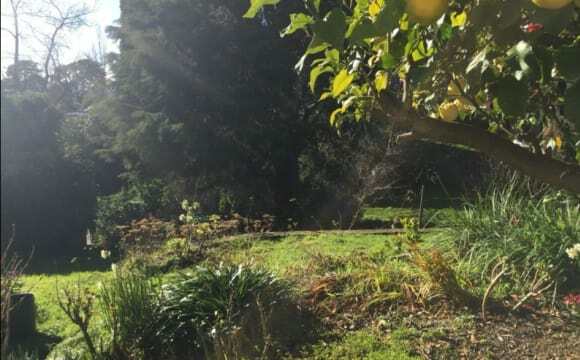 A quiet, peaceful garden to relax and enjoy. +You have the whole downstairs of the house in privacy. 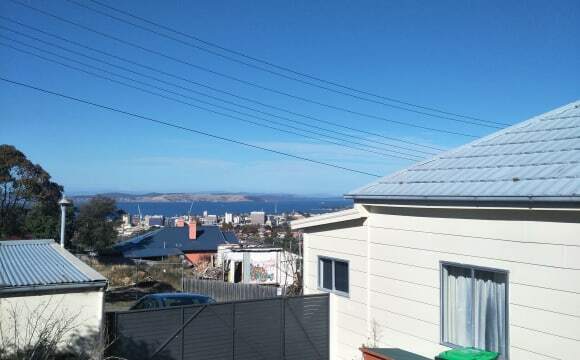 + Super close to the natural beauty of Tasmania- amazing beaches and parks at our back door, as we are only 15 minutes to everywhere in Hobart - the Mountain, MONA, botanical gardens, Salamanca and all the famous sights. We are close to supermarkets, cafes, the best of Hobart (2-10 minute walk), take away shops, cafes and restaurant options in all directions. It is an excellent location. For work/study UTAS is a short drive/bus ride from our place. Everyone living here is quiet living and studying/working full time. As well as being fabulous and hardworking like us...you will need to supply, proof of employment/funds to pay rent, 4 weeks rent security payment and references. Unsuitable for children, couples, pets and smokers. 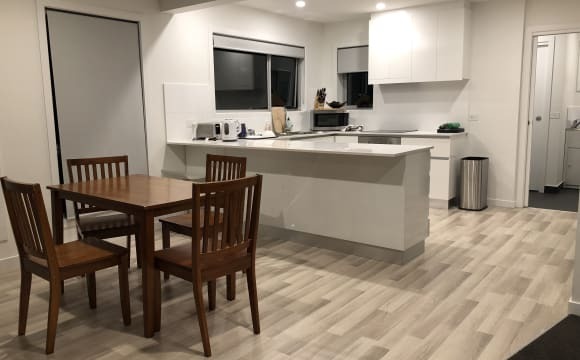 Preference will be given to people who are: - studying/working - International students/local professionals welcome -Single and female preferred Stay/Lease negotiable with minimum 1 month. Negotiable for up to a 1 year stay. We are looking for people who are peaceful living and tidy, it’s a very family friendly area. No phone calls please - Send me a message if you’re interested. I will get back to you and show you the place/send more photos. AVAILABLE NOW. New kitchen and bathroom in downstairs 2 bedroon unit. Close to shopping strip. Off street parking. Quiet spot on Montagu St. Fully furnished property with new furnitures, looks really nice inside. It located in the corner of the community. Nice neighbor and beautiful hill view. Tidy and professional housemates. Only share bath with one tidy female. 1-2 minutes walk to bus stop. Parking in drive way or on end of the street. One bedroom is available from 2 May 2019, the available date is flexible. It is suitable for short term. Maximum rent period is 30 days. Enjoy your privacy with great location - access to Glenorchy shopping precinct, MONA, and great views. I am a friendly 60 year old retired Tasmanian and I own the house. I have two very quiet, lovely Chinese students in one half of the house and am looking for a single or couple for my other large spare room. My house is close to bus, Glenorchy shopping precinct - Coles, Woolworths, chemists, clothing, TARGET, library, etc. 15 minute drive to the city or half hour or so by bus. Smoke-free house, but smoking is ok outside. New and fully renovated studio. Furnished with bed - new mattress - TV, kitchenette, sofa etc. Main upstairs kitchen is available to use (on as agreed basis). The room is separate from the main unit and has a separate/private entrance off Landsdowne Cres. Only a 15 min walk to the city center. Please contact me for an inspection. Renovated, sunny house, beautiful view, very clean and comfortable. Own bathroom. $140 per week for a room. long term stay preferred. The house is a well sized 1950s 4 bedroom house. There is a large front and rear yard (fully fenced at rear). All main living areas are furnished along with washing machine and fridge. There is sufficient parking for 3/4 cars on property and much more on the nature strip. 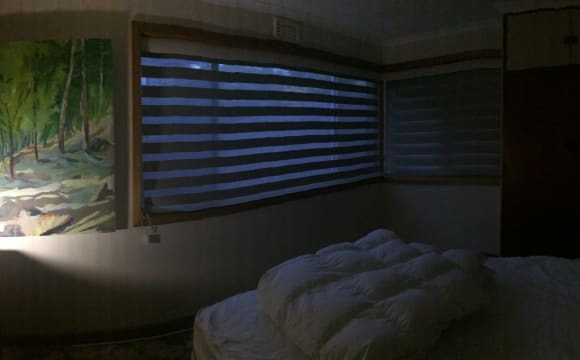 Each room has double glazing, electric panel heater, main heating is a heat pump. Has wooden floorboards throughout, bathroom and kitchen are tiled, and underfloor insulation recently installed. As it is a large property there is a level of up keep required with the garden too. I'm looking for young people who work or study( 2 mins walk to the bus stop). After people who are fun, vibrant, easy going, considerate and responsible. There are are two dogs and 2 cats on the property; other pets can not be considered. 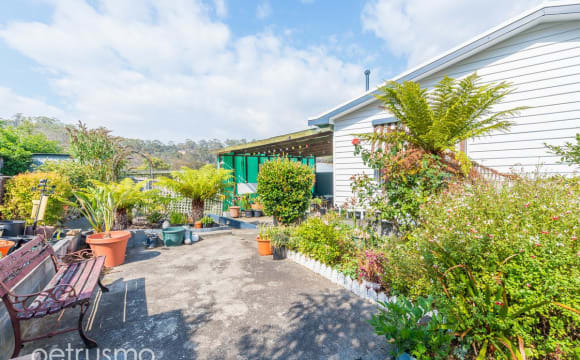 A 3-bedroom older house in great nick that backs onto the flora reserve, giving it a relaxed and peaceful vibe. The garden is filled with treasures of nature, and your bedroom has a view of it. 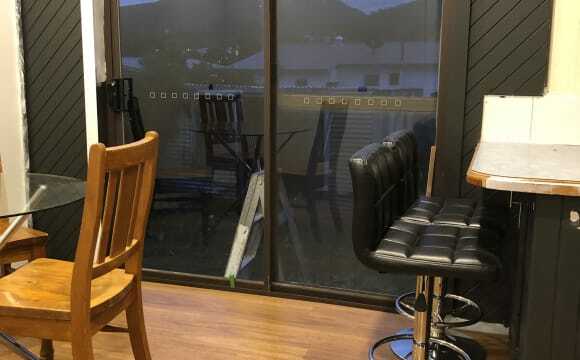 The renovated kitchen offers views to Mt Wellington. Toilet is separate from bathroom and we have a laundry area. 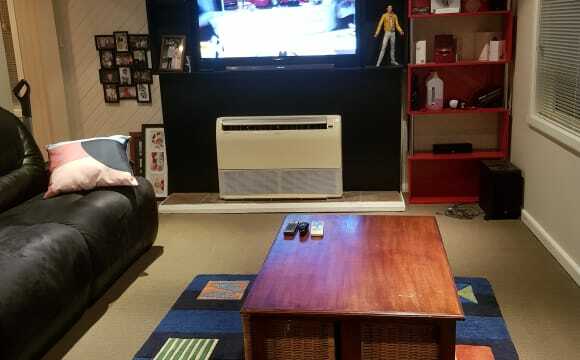 Daikon airconditioner in loungeroom. Storage underneath or in 2 outdoor sheds. There is also an undercover parking space if needed and undercover leisure area suitable for smokers (outdoor smokers only - we don't smoke). Best of all is the location, walk to all the services and shops in Rosny and Bellerive with frequent buses to town. Note: We just moved in and have not organised internet as we are using our data. This is negotiable. Internet here is unlimited and fast. Currently using a room as a study with access to an iMac. There is a wood heather at the back of the house and a heat pump in the front. There's a couple living areas should you want to be in a different space. Huge 65" 4k TV I don't use with Netflix! I have a few chickens in the backyard, and out the front is a level undercover deck which can be ideal for smokers. It's only a 15 min drive to the city. Quiet neighbours and surrounds. Very pleasant place to live. You are free to move in whenever soon, I’m quite flexible. The house is fully furnished, except your room. 3 rooms, 1 bathroom with a separate toilet. Cute kitchen, Big lounge area, with two separate sun rooms. Enclosed backyard with locked garages for storage. Beautiful view over the city and water. 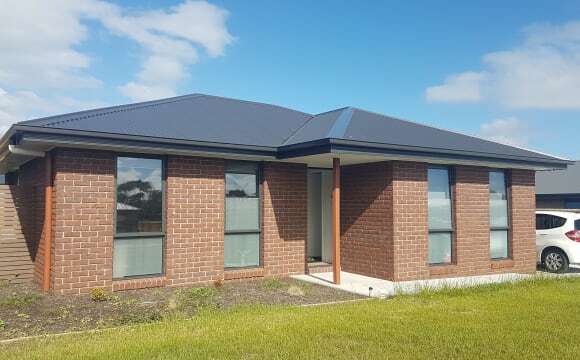 Close to eastlands, bus, 50m public swimming pool, parkland... waterview south to Bruny Is. Newly renovated (shared) bathroom and toilet; kitchen, freshly painted bedroom(s). Presently flatmates.com found Apple and Raquel live with me, although Apple just got a job in Adelaide (leaving by May 1st) and Raquel is about to be joined by her fellah (for a few months) until (most likely) they both move out... so they will occupy the master b/r until August, but you would have the first claim to it (if desired) after that time. Also, when Raquel and her fellah move out, I intend to look for (just) one person to replace them, as opposed a pair of people or couple. 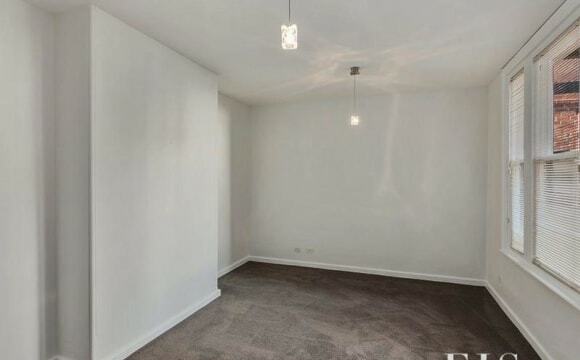 The rent is negotiable (around $150 p.w.) depending on whether (or not) the price is all inclusive (of bills). I will likely reduce the asking price while the place is occupied by more than 2 people, as compensation for loss of amenity, but then reinstate it if/when they leave or until their replacement is found. The address is a bit closer to Rosny college than it is to the Eastern shore side of the Tasman bridge (5 mins in quiet traffic to Hobart CBD). It has a lovely garden, and I like to keep it as peaceful as possible. Ideally seeking a female student or professional, but all applicants will be considered. I’m a super duper nerd who spends most of my time at uni, so the house is generally not overly busy. It has an exquisitely well conceived garden, which was the life’s work of my predecessor, who occupied the house with his wife since WW2. Also I am an ex-fisherman &amp; chef who enjoys sharing meals etc... Please feel welcome to apply if you value serenity ‘The Castle’ style, but moreso tidiness &amp; peace. 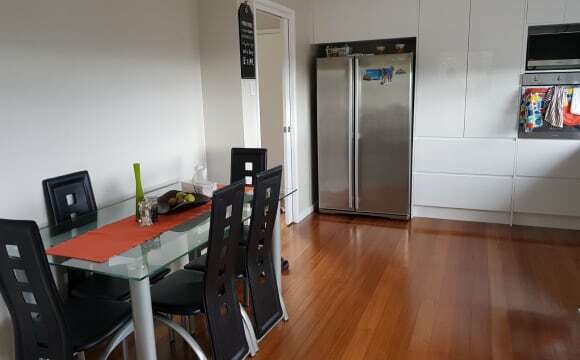 Real address 2/10 Booyaa Street Close to Kingston central and public transport. 15min drive to Hobart city. Unlimited internet. Netflix and mountain views.